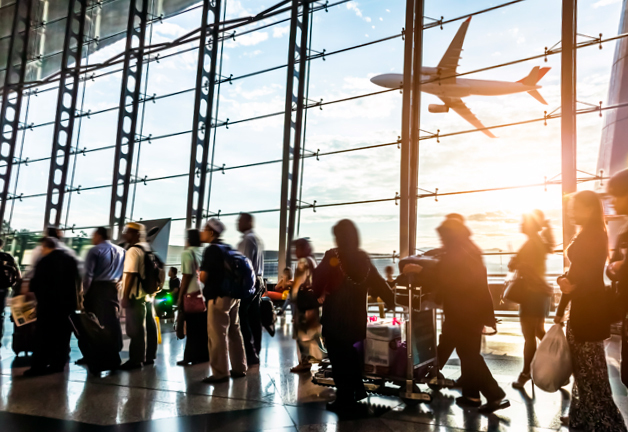 The use of air conditioning for an aircraft during its turnaround is necessary whether on a warm or sunny day, or in cold ambient conditions as the cabin would otherwise become quickly uncomfortable. To achieve this, when no appropriate facilities are available on the ground, the aircraft will use its on-board APU (Auxiliary Power Unit) which is a jet turbine fed from the main aircraft fuel tanks primarily used in flight for example in case of a main engine failure. Using the APU on the ground is a last resort solution being uneconomical for the airline and an aggression against the environment as this jet engine has an overall energy efficiency of only 4%!  Simultaneously, large amounts of air contaminants are emitted.  Among these the CO2, creating a Greenhouse effect in the Earth’s atmosphere, as well as NOx and small particles which directly affect our daily lives. Running the APU on the ground is very expensive for the Airline; for example a Narrow Body aircraft consumes about 100 kg/hour of Jet Fuel to which must be added the cost of maintenance for APU. A ground-based Pre Conditioned Air (PCA) system offers an attractive alternative. 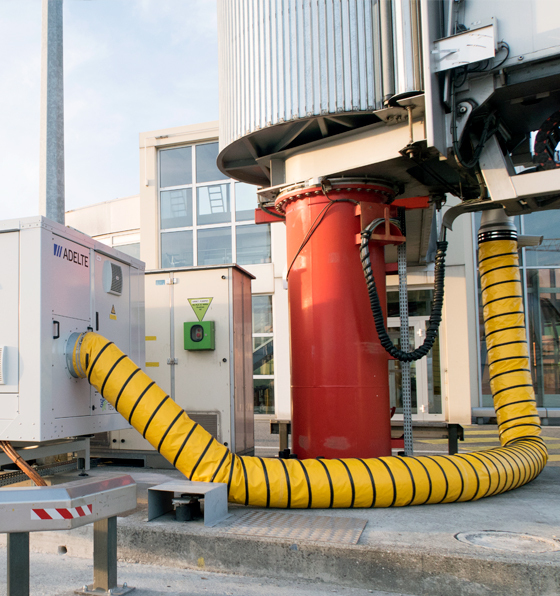 Being powered by electricity from the grid, the PCA unit will dramatically reduce the on-site emissions and noise pollution. As a rule of thumb, let’s consider that a single narrow body aircraft running its APU during one hour every day produce in excess of 100 tons of CO2 in one year. 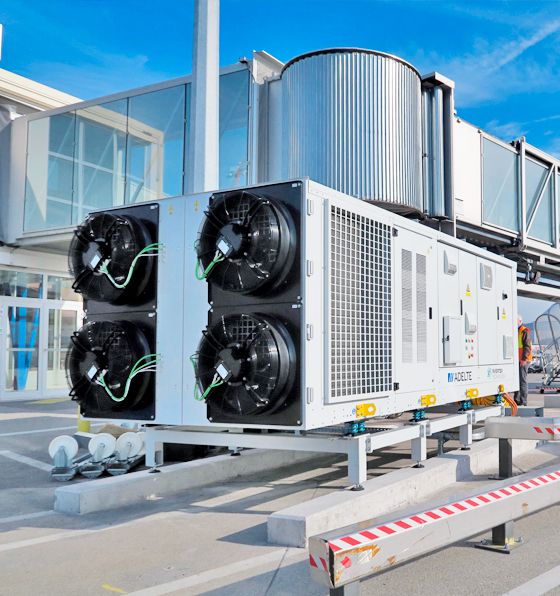 The innovative Inverter System is designed to save amount of electricity in cooling and heating operations, reducing the energy consumption in airports. 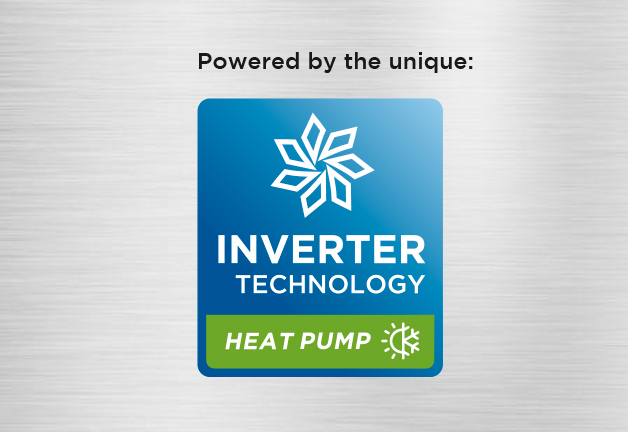 The heat pump system for heating using the refrigeration system instead of electric heating elements, which can reduce the energy cost up to 60%. The above calculations are for illustration purpose only. 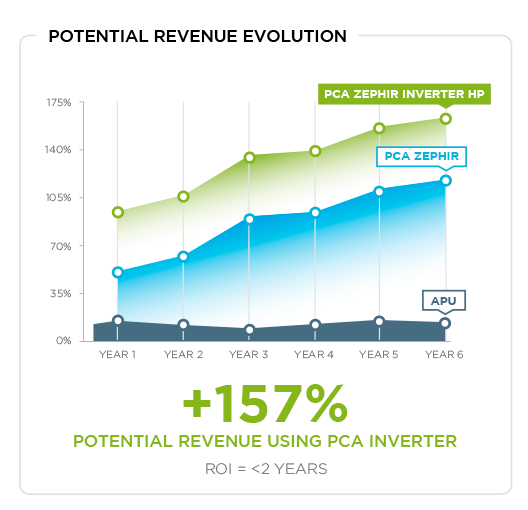 ROI has been calculated under the online PCA simulator conditions that are described in the webpage. The APU burn rates used are 100 kg/h for a NB and 250 kg/h for a WB. The Jet Fuel A1 cost is based on latest available data provided by IATA. Emissions are calculated per ICAO Document 9889 Airport Air Quality Manual. The maximal admissible annual values of NOx and PM10 are 40µg/m³ per EU Directive 2008/50/EC.  The CO2 generated by the off-site production of electricity is 500 g / kWh average high value per EPTA (European Parliament Technology Assessment). 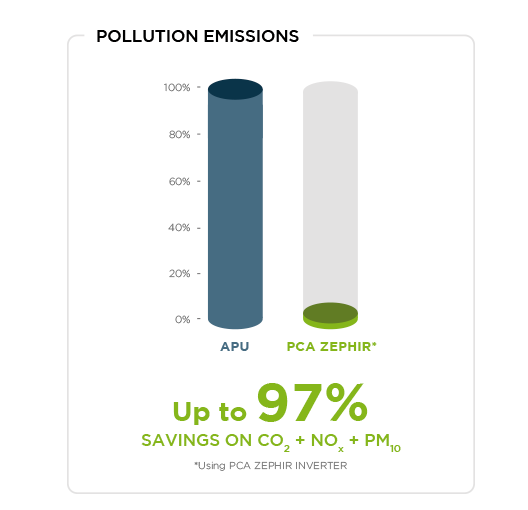 The PCA ZEPHIR Inverter HP incorporates the system Heat Pump for the supply of heating to the Aircraft.  The heat pump system uses the refrigeration circuit of the equipment itself to generate heat, avoiding the use of electrical resistances in a temperature range up to -6ºC outside, depending on conditions. With this system we are able to supply all the required heat capacity with a reduction in energy of up to 60% thanks to the efficiency of the refrigeration system with COP of 2.5.  The electric power consumed has been calculated under PCA unit nominal heating conditions for each aircraft body type and under ambient conditions of 0ºC / 90% Hr. Only heat generation elements consumption has been indicated in the graphic: electrical heaters vs. frigorific heat pump. Zephir Series are designed and engineered to deliver optimum airflow to each aircraft, using four compressors four phases and high efficiency direct drive centrifugal blower (VFD), while consuming the minimum energy. 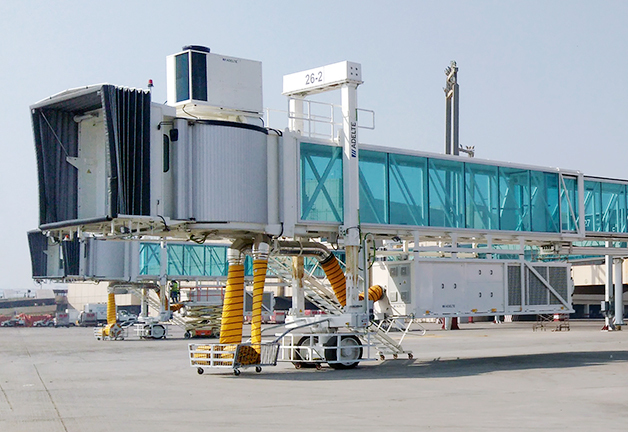 Zephir PCAs are point-of-use units which can fit any layout platform and can be installed on any passenger boarding bridge. They are available in both ground-mounted and bridge-mounted configurations and are prepared to be connected to a centralized management system. Quality is a must. All components are designed, manufactured and tested in order to offer a service life of at least 15 years. 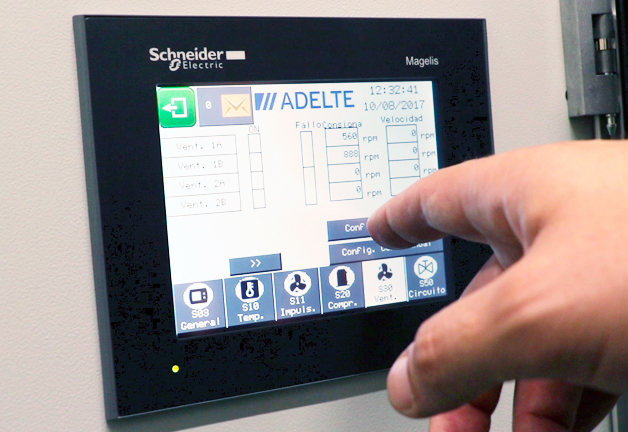 Maintenance tasks can be carried out fast and easy on any component inside the unit thanks to ADELTE’s direct access design. 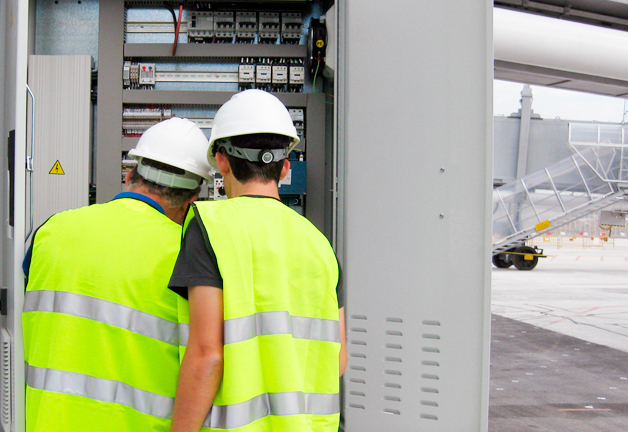 Remote maintenance and monitoring are available to enhance PCA operations. Zephir PCA is designed according the latest technologies. 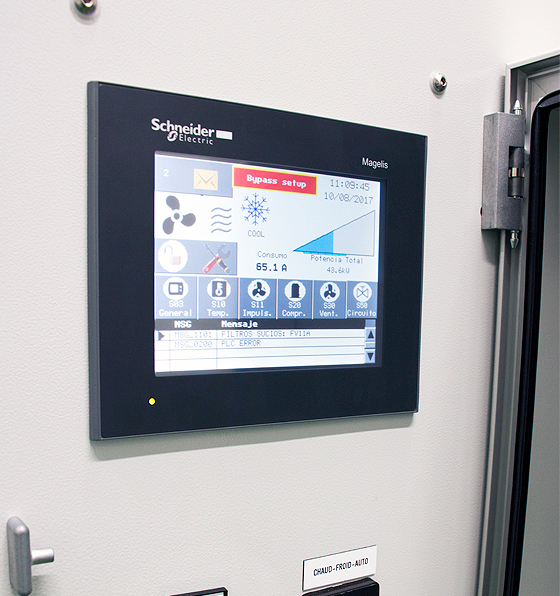 The PLC can be accessed remotely o via its user-friendly touch screen interface allowing operators to control all parameters of the PCA during operations, monitoring or maintenance phases. 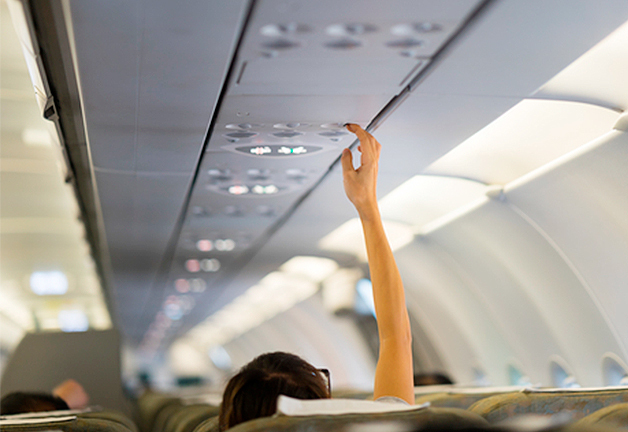 Conceived to provide passengers with an outstanding experience, Zephir PCA uses G4 filters (F5 to F9 filters optional) to supply high quality air inside the aircraft and reinforced thermo acoustic insulation for significant noise reduction. decrease drastically air pollution emissions? 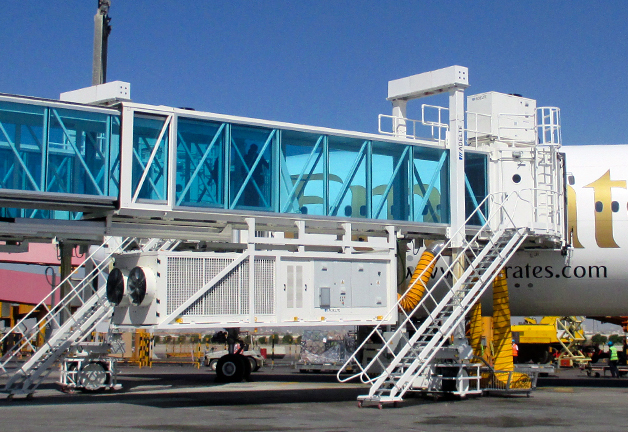 for providing maintenance personnel fast and easy access to all components. The latest generation axial fans EC reduce the electrical consumption thanks to a stepless/continuous regulation. Amplitude of access for a fast preventive maintenance and a fast substitution of components. 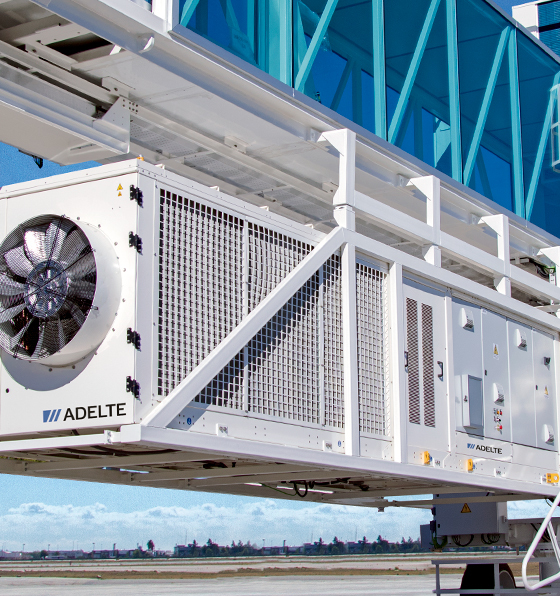 ADELTE’s PCA is designed to work under all environments around the world. The high quality of the structure and the panels assures lifespan to the equipment in exteriors, stand or bridge mounted. Side metal panels with great thermal insulation. 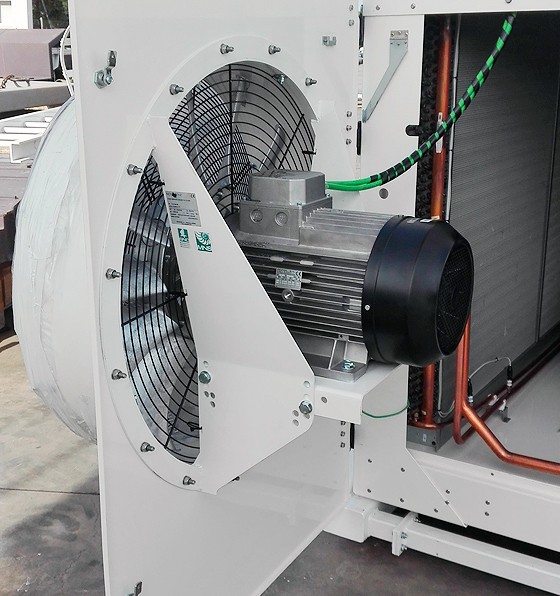 The PCA equipment supplies the pre-conditioned air (-2ºC / 45ºC) through the outlet located on the front face of the equipment. 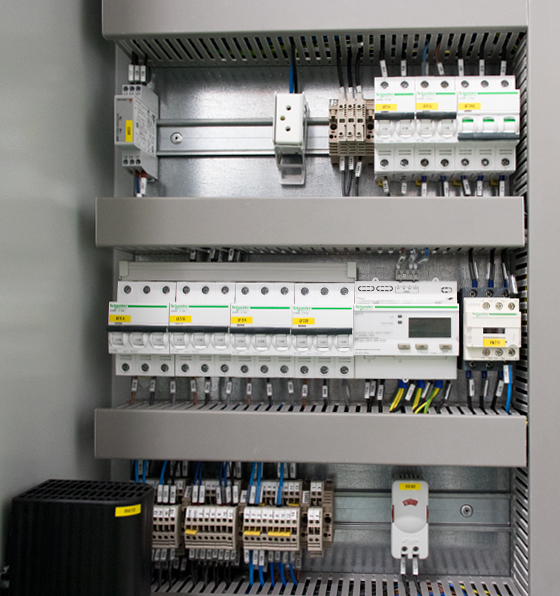 Electrical control panel where the main control and communication elements are located (PLC, touch Screen, buttons, ...).